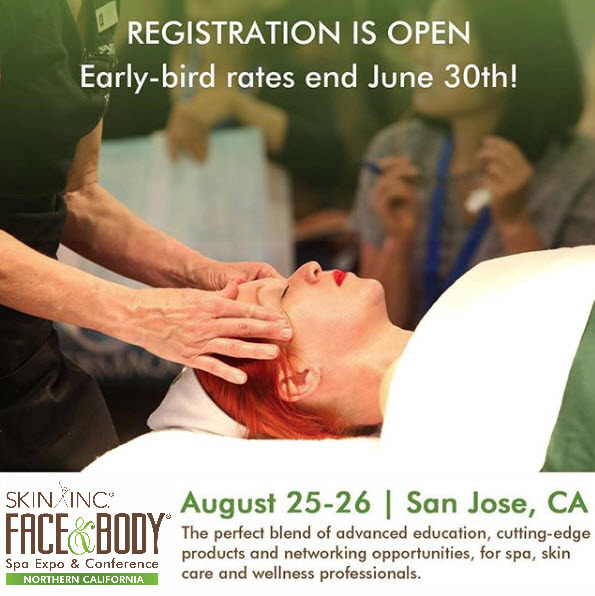 Eminence Organic Skin Care, a Certified B Corporation®, provides effective, award-winning natural, organic and Biodynamic® skin care to spas worldwide. 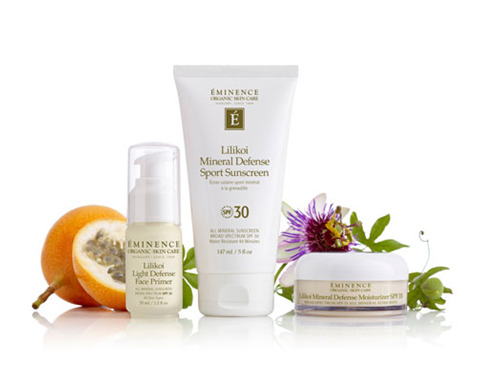 Pioneer of the organic skin care movement, Eminence combines more than half a century of herbal craftsmanship and innovation with Hungarian-inspired healing to offer results-oriented treatments. Eminence’s spa products rely on a unique blend of hand-picked fresh ingredients to craft premium skin care that is also good for the earth. Again, thank you from the bottom of our hearts for voting Eminence Organics as your favorite skin care line for the 10th year in a row! Whether we’re shielding our skin from the sun or protecting it from the aging effects of gravity, sometimes it feels like our complexion is under attack from all sides. And with the increasing adoption of new technology, we can add one more aggressor to the list: blue light. This type of light comes at us from multiple sources - not only does blue light come from the sun but also the screen of your cell phone, computer, flat-screen TV and the majority of light bulbs. In short, our skin is exposed to a potential source of damage for a large part of your day, every day. Here’s all the information you need about whether blue light is harmful and what you can do about it. Blue light is simply light on the blue end of the visible light spectrum, falling within the wavelength of 400 to 450 nanometers. This is a short wavelength which has a higher energy output and unfortunately, can cause greater damage. As already mentioned, blue light is not only found in sunlight but just as importantly, it also emits from the electronic devices now integrated into most people’s daily lives. According to Eminence Organics International Trainer Brian Goodwin, we are “typically exposed to blue light for about six hours a day between your cellphone and computer screen.” With the long, daily duration of exposure and the high potential for damage, blue light could be the next enemy number one for our skin health. What Do We Know About The Dangers Of Blue Light? Blue light first started receiving a bad rap when people noticed its link to poor sleep. Late night hours in bed scrolling through your phone resulted in restless nights, and scientists soon discovered why. According to Harvard Health, blue light at night suppresses the secretion of melatonin, the hormone that affects the circadian rhythms that schedule your sleep / wake cycle. With a sleep cycle out of whack, many people don’t get enough sleep, leaving them open to health problems like depression, diabetes and cardiovascular problems. A restful night is not the only thing at risk. Blue light exposure to the eyes was one of the other potential problems that professionals first pinpointed. Health magazine tells us that the cornea and lens don’t filter out blue light so it goes right to the back of the eye. And a University of Toledo study discovered that blue light “transforms vital molecules in the eye’s retina into cell killers which damage the retina,” resulting in conditions like macular degeneration. Although experiments were only conducted in a lab setting and not on eyes, the potential for harm to eyes from blue light appears problematic. Why Is Blue Light Harmful For Your Skin? Visible light, especially in the blue wavelength, has become a hot topic in skin care, as there is mounting evidence that supports its contribution to photo-aging, including wrinkles, worsening skin laxity, and hyperpigmentation. Academic researchers like the Journal of Investigative Dermatology found in 2010 that exposing skin to the blue light we receive from the sun caused more pigment, redness and swelling than when the same person’s skin was exposed to similar levels of UVA rays. Supporting this is another study published in Oxidative Medicine and Cellular Longevity, which concluded that exposure to blue light could stimulate the production of free radicals in skin, a major cause of premature visible signs of aging. Counteracting the potential harm that blue light can wreak on our skin health, researchers are turning to botanical solutions like cocoa seed extract. Skin care experts have discovered that this extract is one of the best ingredients for shielding the skin from blue light damage because it helps block the skin's blue light receptor cells. A decrease in activity in these blue light receptors lowers free radical damage and boosts collagen and elastin production in the skin. Another bonus? Cocoa seed extract is packed with antioxidants, which also help neutralize free radicals. Part of our Lilikoi Mineral Defense Collection, the Lilikoi Light Defense Face Primer SPF 23 - formulated with cocoa seed extract - is an ideal step for improving the look of skin suffering from blue light stress as well as protecting the skin from sun damage. Adding this lightweight primer to your daily routine defends your skin from all angles - it protects against UV rays with mineral SPF, helps counteract the downsides of technology use and minimizes the appearance of damage from free radicals. Not only does this mineral primer help with the appearance of a complexion exposed to blue light, it also adds subtle illuminating properties with a no-white cast finish, so the skin looks healthy and radiant. For full protection, layer this primer after applying our Lilikoi Mineral Defense Moisturizer SPF 33 and use in addition to our Lilikoi Mineral Defense Sport Sunscreen SPF 30. Find out more about Lilikoi Light Defense Face Primer SPF 23 and blue light stress at your nearest Eminence Organics partner spa.